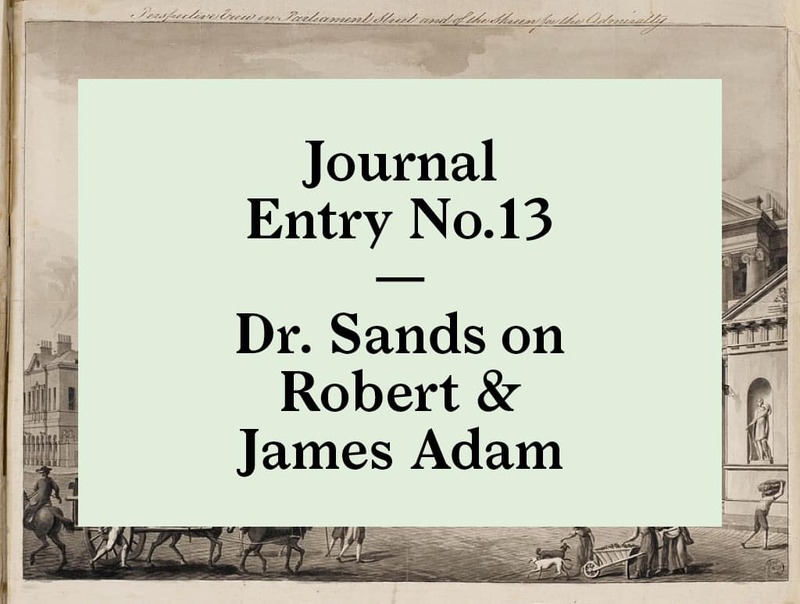 As I prepared to head over to the meet Dr. Frances Sands at the Soane Museum to see their collection of James and Robert Adam documents, an armed robbery was in progress somewhere nearby. 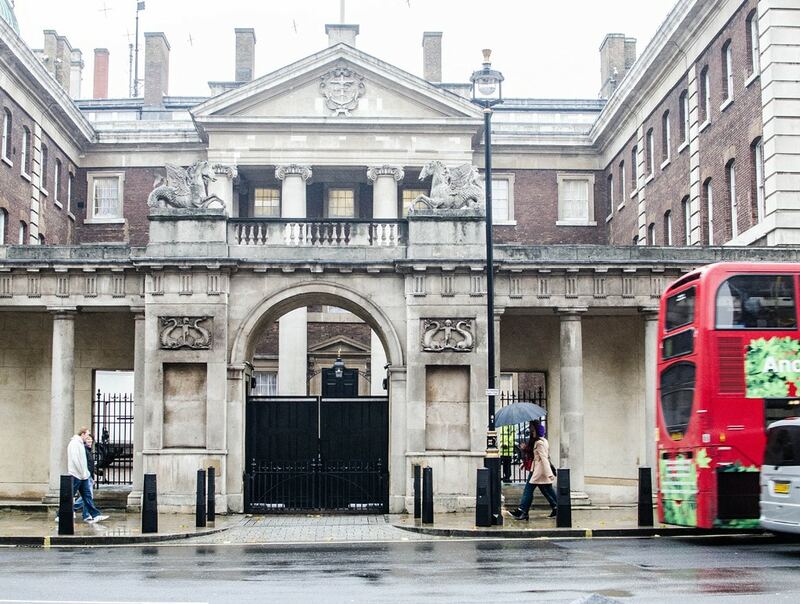 With police in pursuit, the getaway car sped past Soane Museum on the north side of Lincoln’s Inn Fields. Trying to dispose of evidence, the thieves tossed their gun from the moving car. The gun came to rest on the sidewalk in front of the Soane Museum. Arriving shortly after, I found the police in full forensic’s mode. No one was allowed in or out of the museum. I reschedule for the following day. This is as close as I probably will ever get to a CSI moment. At least I hope so. In 1833 John Soane, a voracious collector of architectural artifacts, came across an opportunity to buy an extensive collection of drawings by the architects James and Robert Adam. 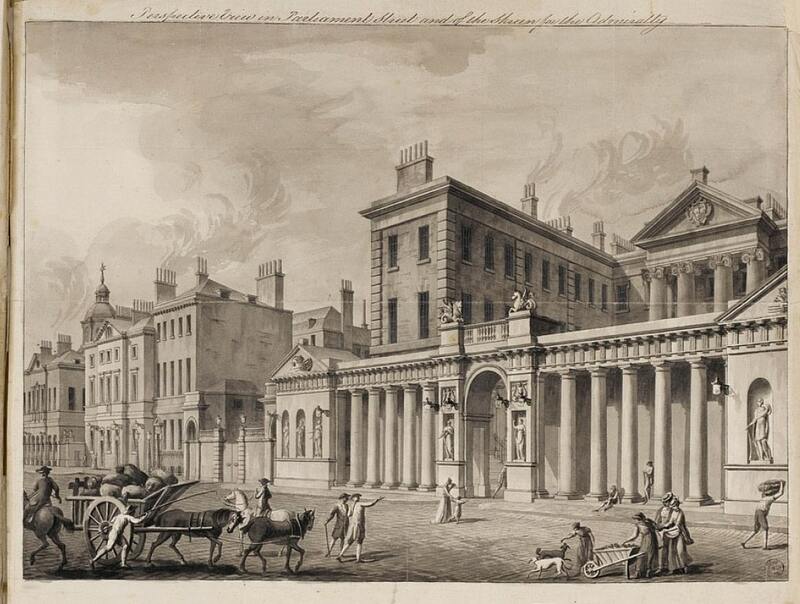 The Adam brothers were contemporaries of Soane with their major work executed from around 1750 to 1790. He bought the drawings, all 8,000 of them, for the sum of 200 British pounds. That would be about 16,000 Pounds today. Each of these amazing drawings was acquired for the price of a couple of postcards. The collection, which is about 80% of all the surviving drawings produced during Robert Adams’ careers. Somehow they remained intact while passing through many hands in the years after Robert Adam and his younger brother James were deceased. I find it incredible that they survived at all. The collection, over 200 years old, has been in a preservation process for the last few years and is now being cataloged and photographed. Frances is leading this monumental task and in the process, researching the stories behind each drawing. So there is a bit of a white-gloved detective work involved. With the previous day’s crime scene still fresh in my mind, seeing Frances carefully analyze these fragile drawings for clues, it occurs that her work is as mysterious and meticulous as yesterday’s police scene. I was so impressed with Frances. With a Ph.D. from the University of York’s Art History Department, she specialized in architectural drawings. When I asked her how she chose this career, she answered without hesitation. While on holiday in Greece with her parents as a teenager, she became fascinated by food storage caves and started drawing them. “From that moment,” she says, “that is what I wanted to do”. Frances showed me around the archive. All the drawing are bound into numbered folios. 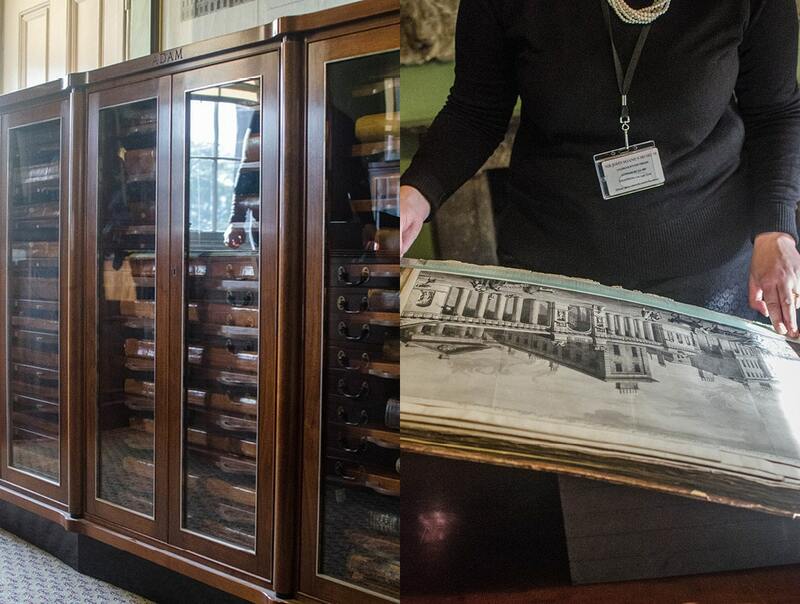 Special cabinets have been built to contain the extensive set of volumes. The Soane Museum is one of the best museums in London. There you are in Soane’s private home. You see his taste, his ideas, and take in really quite an intimate view as you explore the rooms he carefully crafted in which to live and work. And it’s all perfectly conserved and meticulously cared for, thanks to the dedicated and talented Soane Museum staff. 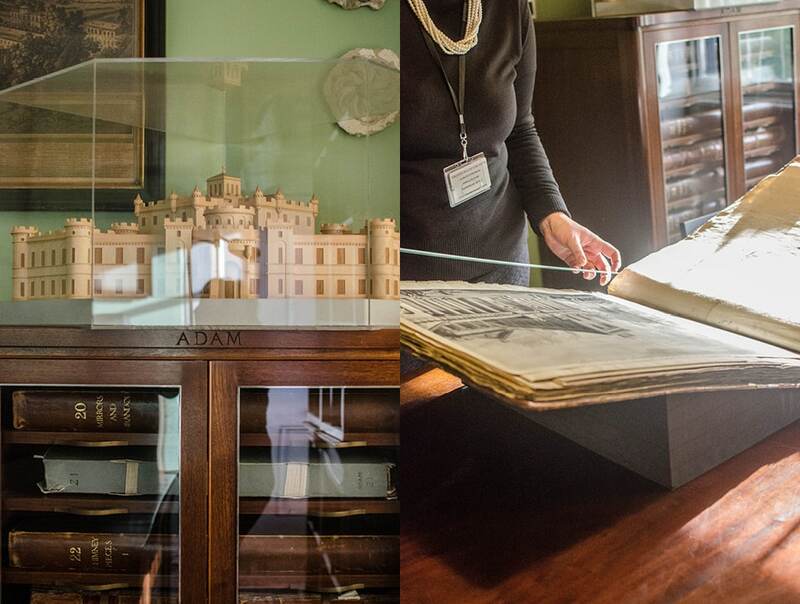 The original Robert Adam drawings were often engraved and copies sold to the public by publisher Andrew Millar from his shop on the Strand. 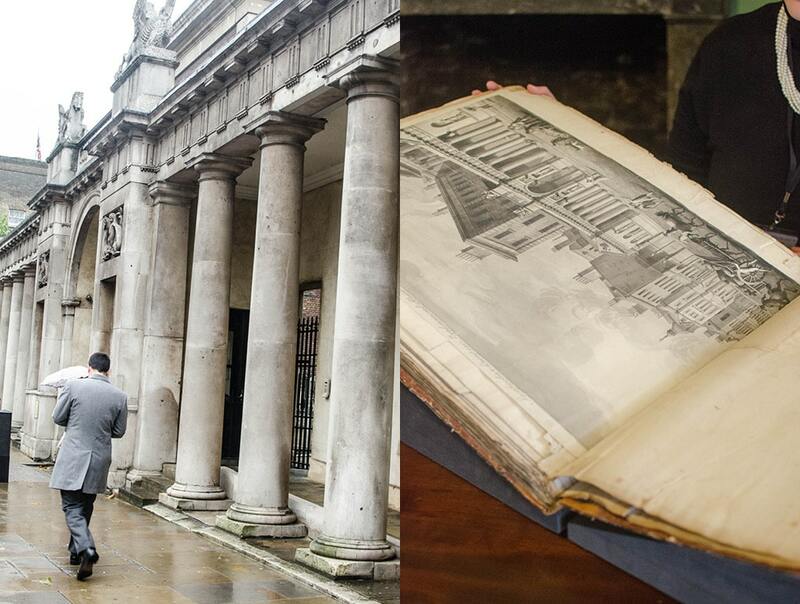 The Robert Adam drawings are a very small part of Soane’s vast collection. Just another artifact which he used to educate his staff and students, and notoriously to no avail, his son George. But Soane’s home also is a pristine example of one of the most modern homes of the time. Or at least as the famously obsessive Soane thought one should live. Frances and I chat about Robert Adam’s Admiralty Screen, a building still standing in Central London. It was Adam’s first civic commission so it’s a great example of how Adam’s work translates to the present. 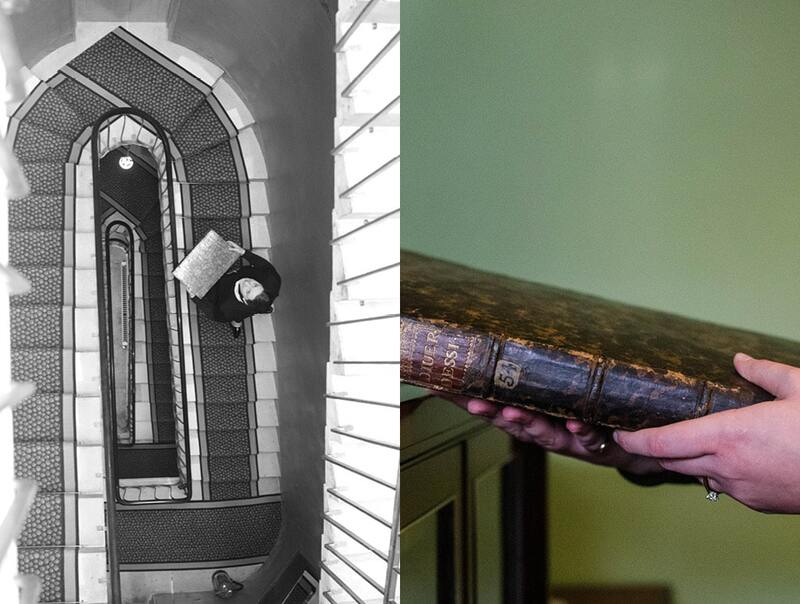 The original Robert Adam drawings were often engraved and copies sold to the public by publisher Andrew Millar from his shop on the Strand. Millar sold prints much like posters are sold today. So in a small way, people could own a little bit of public architecture and display it in their homes, much as they still do today. On your next London trip, by all means, take some time to stop by the Soane Museum. And if you find yourself around St. James Park and Picadilly Circus there are Adam buildings everywhere. Read up and keep an eye out. In the meantime, check out the Soane Museum blog “Looking at drawing”, where monthly you will see buildings with a then-and-now comparison. 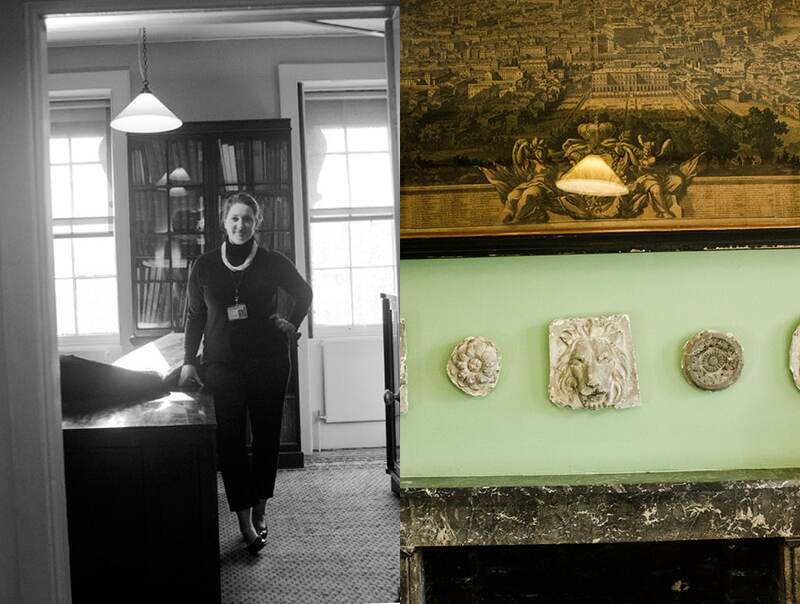 Planning a visit to the Soane Museum? Here is the current weather and what to expect for the next few days. 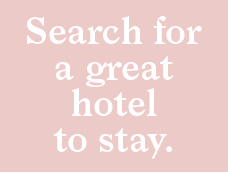 vacation like you mean it! You're always safe with the Bearleader. We NEVER share our subscribers' data.